The mixture of herbs and minerals is synergistic and ideal for weight reduction. 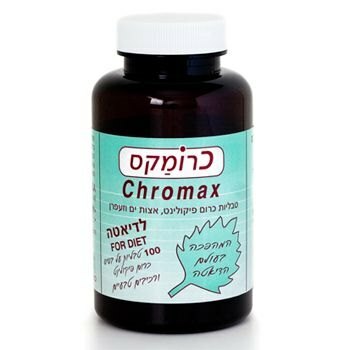 Picolimate Chromium – reduces the carbohydrates in the body and prevents them from turning into fat, reduces the urge for sweet foods. Sea Weed - improves metabolism, contains traces elemeny of iodins (not recommended to people allergic to iodine). 3 – 4 Tablets with meals, recommended 5 minutes before meals, with vegetable, 1 glass of water and another glass of water during meal.